New media interactive installations, multimedia kids corner, workshops, exhibition, picnic soundtrack. we use as extensions of our own bodies and minds, tools that secure the perseverance of our species – at times successfully, at other times not as much. This set of tools and knowledge is what we call technology. As a counterpoint, we use the word “nature” – a word that signiﬁes that which is created without technology, something that is untouched by human hand and activity. On Media Mediterranea 20 we are interested in the perception of the terms “technology” and “nature”, as well as their interrelation. without further adieu – how did we, as a species, survive for 50+ thousand years? The Golden watermelon is made up of one or more artworks selected in the competition for artworks from the ﬁeld of contemporary art, that is directly related to the theme of the festival and use new media and technology. The works are produced and presented at the festival itself. The author of the competition is Hrvoje Hiršl and the members of the jury are Oleg Šuran, Sunčica Ostoić and Marko Vojnić Gin, who also participated as advisers in the production phase. 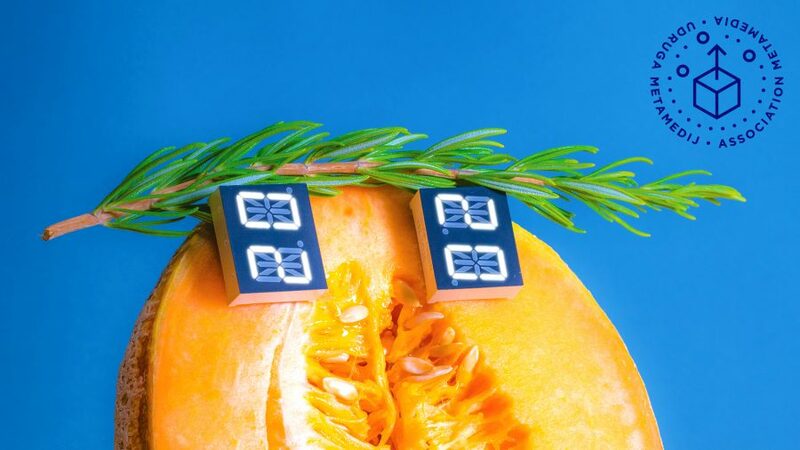 The competition “Golden watermelon” is intended for young artists from Croatia who are already working in the ﬁeld of contemporary and/or new media art, interactive installations and interdisciplinary art practices. This kind of competition enables the development of the festival as a platform for the promotion of domestic authors (online and at the event itself), production of less a≈rmed authors’ work, linking domestic and foreign artists, and creating a place for sharing ideas, knowledge, and experiences. This year’s ﬁnalists who will exhibit are Tin Dožić, Petra Orbanić, Ivana Tkalčić, Josipa Škrapić, Noel Šuran and Ivana Škvorčević. range of natural and man-made chemicals and odours, including the biomarkers associated with certain diseases. The aim of the project is to develop upon current technological research by using design to translate the outcome into systems and objects that people can understand and use, engendering signiﬁcant adjustments in their lives and mindset. Urpﬂanze- Can or should we design plants adaptable to extreme weather conditions? Can we afford not to? Research on plant morphology is putting together the genetic blueprint that controls plant structure and shape. These ﬁndings could be the ﬁrst steps to a new generation of plants that are more resilient to unpredictable weather patterns, meet the challenges of global demand for food and even inﬂuence climate. Urpﬂanze displays computer-generated images of plants that represent hypothetical macro-scale designs for extreme weather conditions. The illustrations are inspired by plant morphology research from the Department of Animal and Plant Sciences at the University of Sheffield. Survival Kit for the Anthropocene- The fast growth of invasive species – a natural phenomenon triggered by the Homo Sapiens species – can be understood as a (un)intentional experiment enabling us to objectively or subjectively directly observe the dramatic sixth extinction of species on Earth. Continuing her opus of the exploration of the typology of invasive species, through intersections of geopolitical parameters on one side and local-sociological paradigms on the other, the artist Maja Smrekar picked some of the signiﬁers of the national cultural heritage and transformed them into the Survival Kit for the Anthropocene, the geological era we are currently in. Programme @ the Park 17. + 18. 08. 2018. MM20 is an installation showcasing the twenty years of the Media Mediterranea festival. The work combines different visual materials and photographs made since 1999., the beginning of Media Mediterranea. – gIF scenario is an installation made from the works submitted to the open call for gIF animations. The works are made by recycling “digital waste” – all the unwanted photographs that take up kilobytes in our phones, cameras or computers. The installations include unpublished photographs, unsatisfying selﬁes, photographs with errors, duplicates and similar materials transformed into stop-motion animations, photographic collages, handmade animations and animated text. Friday, 17.08.2017, from 19:00 to 21:00, Titov park. Age of participants: 5 to 15 years. Applications for this workshop are not required. DiA dai sai (children & architecture section) – In the ﬁeld of Titov park we will build a shelter of nature – the technology will help us simulate a place where we feel “as if”. We will build our houses with the children and arrange them in a way to stimulate all the experience of staying in the scenery of a meadow, water, rain, forest. We will cover the constructions built together with a canvas, and screen the images of a selected landscape. Inside the cottages there will be speakers reproducing recorded sounds from nature. Fragrancies will be made from spice and healing herbs. DiA DAI SAI is a collective of architects who perform spatial exercises with children. With the full name Children and Architecture Section, under the wing of the Istrian Architects Society, the collective has been active since 2010, with the desire to contribute to basic art education in a dormant school curriculum, with an optimal load of one hour per week. In order to achieve this, DiA DAI SAI explains space through games, gestures, events, and intends to enhance the sensitivity to the 3D boundaries that in many ways deﬁne our reality. Friday, 17.08.2018. and Saturday 18.08.2018, from 18:00 to 21:00, Titov park. Age of participants: Workshop is intended for schoolchildren (from 7 years onwards) Applications for this workshop are not required. The workshop is aimed at a better knowledge of the basics of 2D digitization and 3D printing. Workshop participants will be enabled to create their drawing or college, which will then be transferred as a print on fabric, and the best work will become an object made by a 3D printer. FabLab is founded in 2013 with the aim of helping the acquaintance with new digital production technologies, used primarily to include youth and enhance their Ste[A]M skills. Its activities are conducted through three core missions: 1. Education, under the slogan “Create in School”, from elementary, high schools to universities and lifelong education, 2. Local communities, under the slogan “Give A Hand”, where new technologies are brought closer to the local community and associations with an emphasis on people with special needs, and 3. Entrepreneurship with the slogan “Generate locally, oΩer globally,” designed to promote entrepreneurship. Workshop time: Friday, 17.08.2018. and Saturday 18.08.2018, from 18:00 to 21:00, Titov park. Age of participants: from 6 to 14 years of age. For participating please contact the contact.radionice@gmail.com. In the application please specify child name, last name, age of the child and contact phone number. One little engine and a few markers make up a small robot running up a sheet of paper and leaving traces of various colors. At the workshop participants will learn about the basics of electrical engineering and mechanics while having a good time. The shape of the robot is not restricted only to a cup, but to anything with a surface where a marker can be attached, so there is plenty of room for artistic and mechanical experimentation. Of course, all of it doesn’t make sense without using googly eyes! Lovro Dujnić works as an associate at Faust Vranić Mechanical Engineering School. In his spare time, he deals with electrical engineering, mechanics, robotics, astronomy, photography as well as with generating, repairing and restoring things from all domains and more. He is living in an apartment that looks more like a laboratory than a living space. He occasionally works and participates in workshops for youth and adults, and he organizes public sky observations with his astronomical society Beskraj. He has participated in numerous innovation competitions and has received numerous prestigious awards and medals from various countries around the world. Postmodernist concept of a musical culinary program that will make your stay in the park an unusual experience with the sounds of “modern classic” duo WunschBaum Project and a Dj program that brings a music retrospective of the ﬁrst twenty years of Media Mediterranea along with served organic food made by Sek (solidary and eco kitchen). The ensemble has been active for many years in various chamber ensembles and performs a repertoire of old masters, baroque sonatas, classical and romantic works, to contemporary compositions, jazz, and organic electronic music. The ensemble also creates their own music using classic and electronic instruments. At the 20th Media Mediterranea Festival, they will present to the public an appropriate program for a chamber ﬂute and clarinet duo with the addition of electronic instruments. Morski is the pseudonym of Marino Jurcan (Dj Marino) who was a drummer in alter/garage rock bands in the 80s and then switched from drumsticks to vinyl and from rock clubs to psytrance parties in early 90s. He was also a resident DJ in the legendary Fort Bourguignon in the late 90s. During the 2000 he became more involved in his own production and rarely performs on parties. For this occasion, he will be performing freestyle electro from ambient to deep dub. An association and collective of the same name – BukaNoise operates in the ﬁeld of contemporary art, more accurately in ﬁne art, performing arts and contemporary dance, ﬁlm and video, and authorial music and Dj culture. Matko Banković and Marko Vojnić take care of the music section in several ﬁelds. Marko and Matko have been performing under the name of BukaNoise Collective since 2016, but their beginnings date back to the ﬁrst editions of Media Mediterranea. With back to back DJ-ing and VJ-ing they combine several music genres, primarily focusing on the sound of the early 2000s and labels like Ninja Tune, Warp Records, !k7 and more. Foreigners Everywhere is an AV dub project by Marko (audio) and Matko (live visuals) established in 2016. F.E. is expanding more and more and collaborates with other artists like Too Faar, Prancing D, Ivana Vojnić Vratarić and many more. They are currently working on “Il tuo paese non esiste” that should be out in 2019. DJ Cube He is a fan of electronic music and one of the main initiators of Metamedia’s programs in the early 2000s. He has been more active as a Dj since 2003. For this occasion, he will prepare a deep and funky house set. 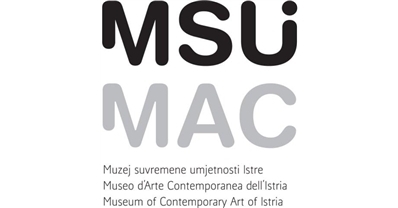 As part of the Summer Sessions residency, young artist Ariane Trümper will present her artwork at the Museum of Contemporary Art of Istria (MSuI). In this scenographic sound and video installation, the impossible seems to be possible, to change time. Time will be seemingly ﬂowing backward, disabling the rules of space and time. Images will be rerouted through media, changing their truth and perceptions will be challenged. An interactive experience that invites the spectator to explore an impossible wish and the destructive or constructive potential of events. Summer Sessions is a network for talent development realized in collaboration with V2_ Lab for the Unstable Media from Rotterdam, and as part of the MI plus platform whose member are Metamedia Association, L.A.e.XXI, Faro11 and Sonitus.